If you haven’t been to Singapore before or if you’ve forgotten how we do things, no worries- we’ve got you covered! Our carefully selected tips and overview of Singaporean ways and customs will ensure a smooth trip. Check here or with your local consular office if you require a Visa to visit Singapore. The approved amount of time for your visit will show on the visit pass endorsement in your passport. It’s always tropical in our little island! Singapore enjoys warm weather all year round, with a higher amount of rainfall from December to early January. 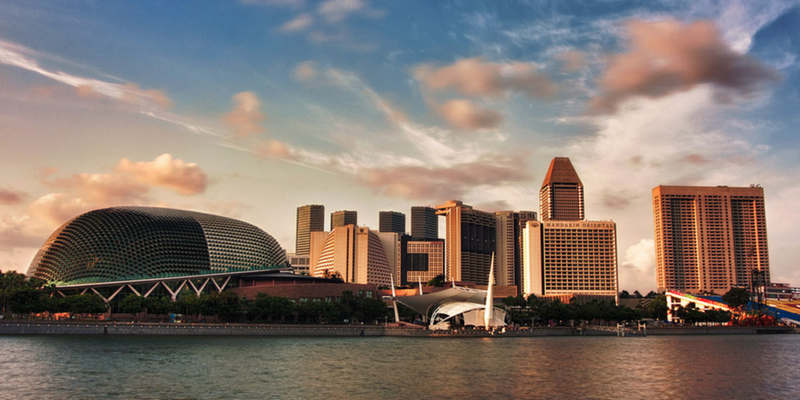 Singapore’s temperature often reaches 30°C and above, with high levels of humidity. Check here for regularly updated weather forecasts. With the warm climate in mind, summer wear will be your best bet. However, our many shopping malls and public transport can get a bit chilly, so be sure to bring a cardigan or a jacket as well. Do bring a swimming costume and flip flops if you enjoy taking a dip- the weather calls for it! Singapore dollars (SGD) are used in Singapore. Although cards from major Credit Card companies are generally accepted, Visa, Mastercard and NETS are the most common. Founded by local banks, NETS is a debit system used by almost every Singaporean, and is the only card accepted in 7-11 stores. If Singapore is to be your new home, do consider applying for a NETS card- you’ll be able to enjoy a multitude of promotions! We do recommend having cash on hand to use in hawker centres, taxis, markets etc. Changi Airport’s shuttle bus brings passengers to downtown hotels. It leaves every 15 minutes during peak hours and every 30 minutes during non peak hours. The journey takes an estimated 25 minutes, but is subjected to change depending on traffic. Click here for advance booking information. Changi Airport also has a free shuttle service to the airport from Changi Business Park. However, do note that the bus does not have a compartment to keep your luggage. Timetable available for download here. Singapore’s local telcos Singtel, M1 and Starhub offers a variety of Prepaid SIM cards. These cards can be purchased at Changi Airport at Changi recommends, Currency Exchange and Telcos’ retail counters. You can also buy a card at convenience stores after you’ve left the airport. Be sure to have your passport with you, it is required when buying a prepaid SIM card. If you do not require constant Internet access, you can rely on Wifi hotspots scattered across Singapore. Just download the Wireless@SG app (Apple Android) and register for an account your mobile number. Click here for specific instructions! Shopping malls, cafes and public buildings often offer free Wifi as well. 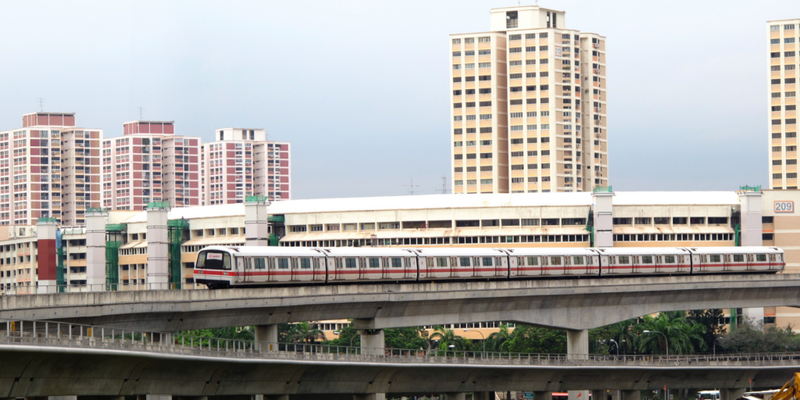 Singapore is favourably known for its top-notch transport system. With a reliable train service, bus service and many taxis, you will always be in good hands. Do note that food and drink are not allowed on public transport. Due to their strong smell, Durians are not allowed on board either! Although cash is accepted on public transport, we highly recommend purchasing an EZ-Link card. The EZ-Link is Singapore’s contacted stored value card that can be used for public transport and purchases in certain establishments. Purchase a card for $5 at one of the many ticket offices or at any 7-11 store in Singapore. Do remember to have cash on hand, as 7-11 only accepts cash or NETS. If your card is lost, damaged or faulty, head over to a concession card replacement office for assistance. Singapore’s MRT is fast, efficient and affordable. Tickets for individual trips are available for purchase at each MRT station, just look for the machines at the side and follow the instructions. These machines accept credit cards, debit cards and cash. Click here for the Mrt Network map. Singapore’s SBS bus service provides a comfortable and clean ride. Bus service information and timetables can be found here. To get an estimated time of arrival, download SGNextBus. Singapore has a multitude of taxi companies offering transport services. Either flag one down by the roadside, wait at a taxi stand, or call one of these numbers to make a booking. When flagging and alighting a taxi, please keep a fair distance from any bus stop to prevent any obstruction. To avoid the midnight surcharge, use Uber! With the option to automatically pay by credit card through your Uber account, it’s fuss free and convenient. Cash is also accepted. Download the app (Apple Android) and use our code (code) for $10 off your first trip! Download the Singapore Maps app (Apple Android) for directions and a variety of transport options. Although we enjoy a multitude of spoken languages like Mandarin, Malay and Tamil, English is recognized as Singapore’s first language. Younger generations speak fluent English, whereas senior citizens may be more comfortable in their mother tongue. Our multi-racial society will be happy to assist you when approached and try their best to communicate. Drinking is banned in public places from 10.30pm to 7am. Shops will also be unable to sell alcohol during this time period. Drinking is banned in Geylang and Little India from 7am on Saturday to 7am on Mondays, and 7pm on the eve of a public holiday to 7am after the holiday. Shops will also be unable to sell alcohol during this time period. Scattered across the country, hawker centres are a gem in our city state. Offering a vast variety of food from our multi cultural roots, hawker centres are affordable, delicious and essential to every Singaporean! Pick a table! 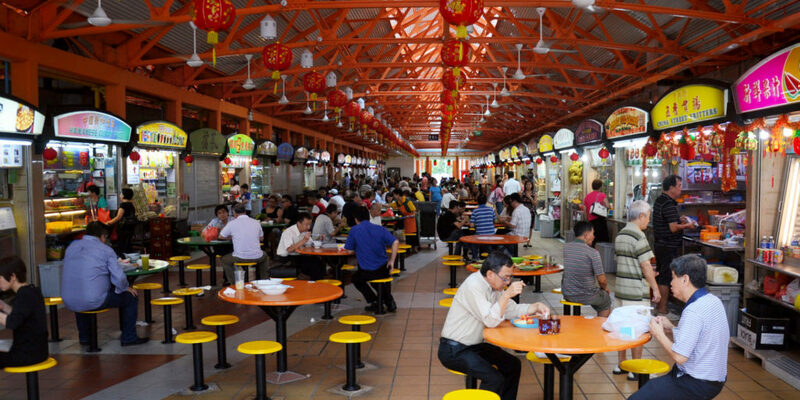 Hawker centres can get crowded, but most people will be happy to share their table with you. Just ask if the seat is taken, and be patient. Remember your table number! Choose a stall, pick a dish and join the queue. Some stalls are self service, whereas some shopkeepers will ask for your table number so they can bring the food to you. After enjoying your food, please clean up after yourself and bring your tray to one of the tray collection points. If you bought food from a Halal (food Muslims are able to eat) stall, please make sure you return your tray to a Halal tray collection point. *If you see an umbrella or a pack of tissue paper left on a table, that means its been reserved!